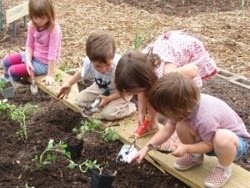 The Colorado Department of Public Health and Environment, in conjunction with the Colorado Farm to School Task Force, releases Farm to School Legislative Trends: 2013 Enacted Legislation. Through its membership in the Task Force, CDPHE continues to provide research support on innovative policies and practices that support the expansion of farm to school efforts statewide. Trends from 2013 state legislative sessions funding for farm to school programs and school meal pilot programs; formation and continuation of state mandated task forces and work groups to study and support childhood obesity programs, farm to school and local food systems; support for local food system capacity building, farmers markets and programs aimed at healthy food access for low-income populations; and development of interagency and interdisciplinary farm to school partnerships. To learn more, contact Susan Motika.